When installing the theme, you will have to ensure you have downloaded the correct zip file from ThemeForest and also make sure you are uploading the WordPress theme and not the full package. 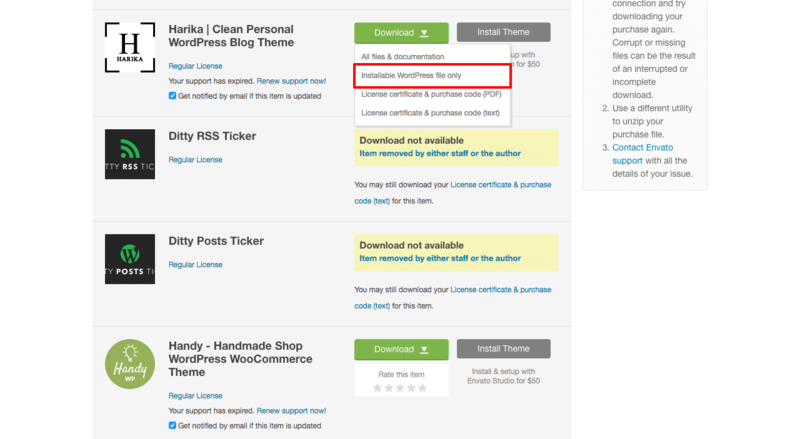 When visiting http://themeforest.net/downloads you will have an option to download the “Installable WordPress file only”. Select this option and download the file. Upload the theme zip file to your WordPress site.